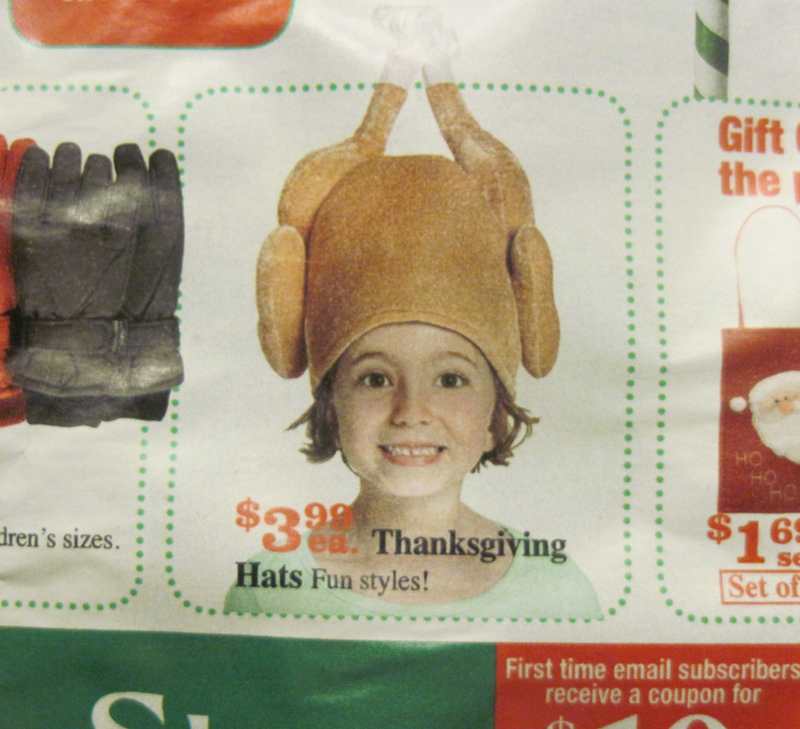 This year we can give thanks to the latest consumer monstrosity: a turkey hat. The depressing part is that I've seen people wearing these...and I mean "people" as in plural. Much thanks to Ryan Hennessy who found this ad in a Christmas Tree Shops circular. It's almost something someone would wear 'ironically,' as though it were a Hair Bear Bunch shirt or something, except a hat that looks like a cooked turkey was NEVER popular. This is just plain absurd.